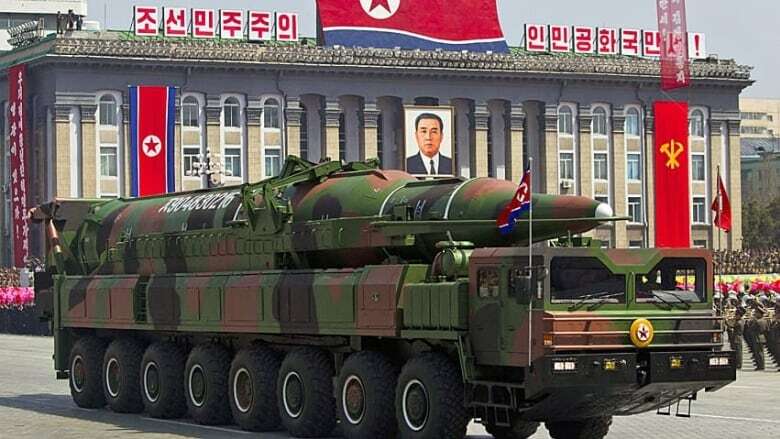 A half dozen ominous new North Korean missiles showcased at a lavish military parade were clumsy fakes, analysts say, casting more doubt on the country's claims of military prowess after its recent rocket launch failure. The weapons displayed April 15 appear to be a mishmash of liquid-fuel and solid-fuel components that could never fly together. Undulating casings on the missiles suggest the metal is too thin to withstand flight. Each missile was slightly different from the others, even though all were supposedly the same make. They don't even fit the launchers they were carried on. Even so, the missiles displayed this month could foreshadow weapons that North Korea is still working on. Wright noted that the first signs the outside world got of North Korea's long-range Taepodong-2 missile -- upon which the recent failed rocket was based -- was from mock-ups seen in 1994, 12 years before it was actually tested on the launch pad. Theodore Postol, a professor at the Massachusetts Institute of Technology and former scientific adviser to the U.S. Chief of Naval Operations, said the Taepodong-2 design remains the more real future threat -- though even that remains at least a decade away -- and the KN-08 is simply a smoke screen. "Given the international attention it has gotten from parading these missiles you could argue that the cost of buying the large trucks -- which add a lot of credibility to the images of the missiles -- was money well spent in terms of projecting an image of power," he said. North Korea says its arsenal can defeat U.S.